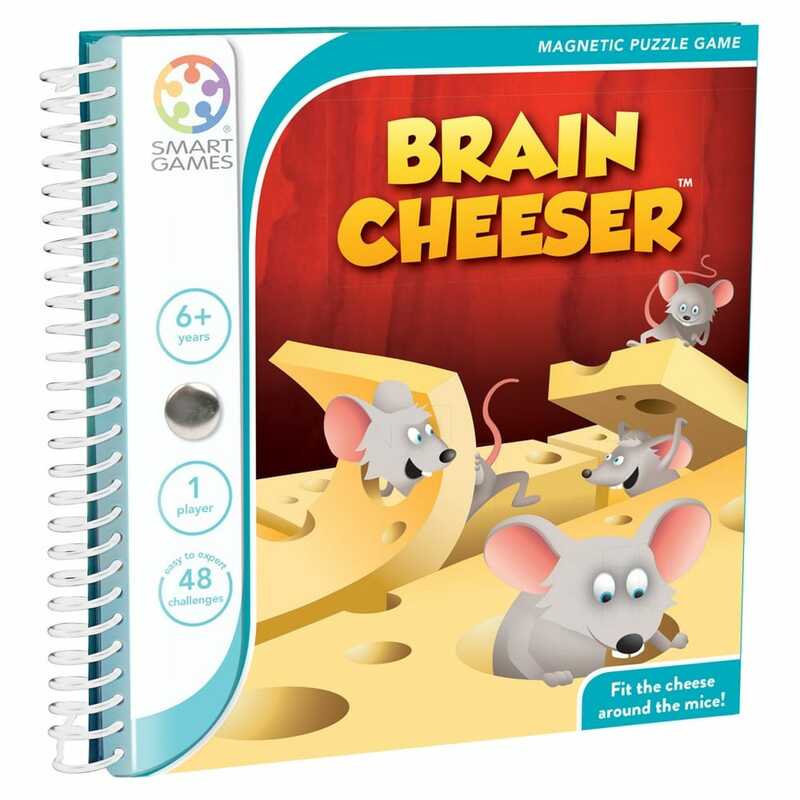 Can you place all puzzle pieces on the game board so that the mice look through the holes in the cheese? Sometimes holes stay empty, but half-holes are not permitted in the solutions, except on the edge of the square. Contents: Booklet with magnetic grid, challenges and solutions, 8 cheese pieces and 6 mice. A bit about the brand: Play SmartGames anywhere, anytime, no opponent needed. These games are designed to play alone but it’s also great fun to solve our brain-teasing challenges together. SmartGames are designed for children as young as age 3 but many games appeal to teens and adults as well.